Aline Brosh McKenna can’t let it go. She admits that. Which is why, as her series ‘Crazy Ex-Girlfriend’ comes to a close after four seasons, with no ordinary send-off — because, come on, is anything ever ordinary with this show? McKenna, co-creator and showrunner of the cult favourite, caps off the already rigorous task of writing the series finale, which McKenna did with fellow co-creator and star Rachel Bloom, and directing the episode too. So, basically, overwhelming panic was inevitable. “I don’t know what we were thinking,” McKenna, 51, says. Considered by many to be an anti-romantic comedy, the show has followed the shenanigans of Rebecca Bunch (Bloom) in the pursuit of love and happiness. Along the way, the show has skewered the cliches often put upon women and has offered a sobering exploration of mental health — all while breaking into song every so often. After a particularly dark third season, which included Rebecca plotting revenge on her ex and a suicide attempt, the final chapter has taken on a lighter tone in looking at Rebecca’s journey toward happiness in a healthy way. For McKenna, whose screenwriting work has largely been focused in film, including ‘The Devil Wears Prada,’ ‘27 Dresses’ and ‘Morning Glory,’ the end of ‘Crazy Ex-Girlfriend’ is a significant marker in her career. It brings to a close her first TV series — a full circle moment for someone who spent her early years in Hollywood writing TV pilots. With the office she used for four years on the ‘Crazy Ex’ set in North Hollywood already boxed up, McKenna has been using her other office in LA’s Larchmont Village during the lead up to the show’s farewell, talking about wrapping up the show and about writing for TV at a time when content feels overwhelming. I had two other movies made, ‘Three to Tango’ and ‘Laws of Attraction.’ But at the time, movies were doing more character-driven pieces, and then it completely flipped. 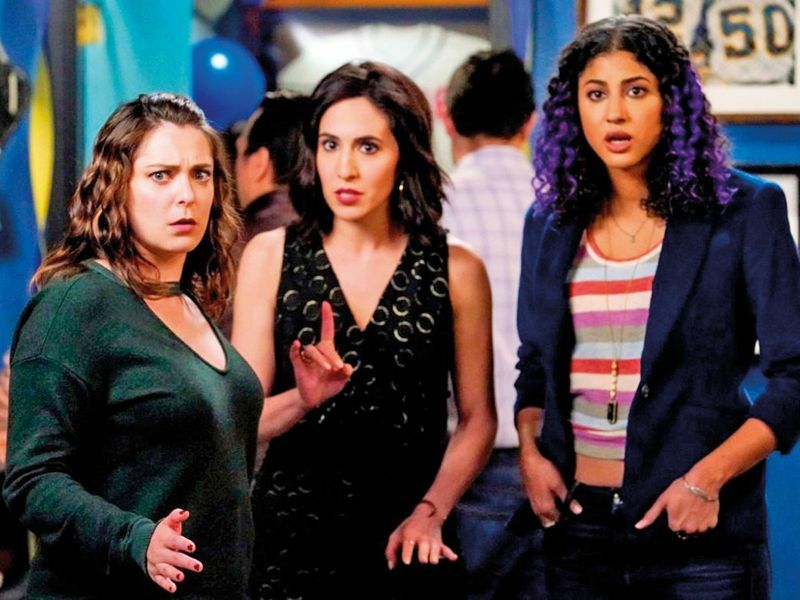 By the time we got [‘Crazy Ex-Girlfriend’], I knew a lot of people who were running shows. Everybody does it differently, so I kind of crowdsourced it. Jennie Snyder Urman [‘Jane the Virgin’] was working at the CW, and that was one of the reasons that we went to the CW. She gave me a lot of good advice. I [also] solicited a lot of feedback from the writers we hired. We had a retreat right in the beginning and I said, “Tell me the best practices and the worst practices of your previous jobs”. Meeting people where they live was something that I think I maybe intellectually understood, but when you see it in practice and you notice that ... It’s sort of like with kids. You take them as they are as opposed to trying to get everybody to be on your wavelength. I had been so steeped in being likable and the female leads being a certain way — that had been hammered onto me. I will say, on ‘Devil Wears Prada,’ that was the process where that happened the least. Besides [director] Dave [Frankel], it was a movie made primarily by women. And so I got fewer of those notes. Andy [Anne Hathaway] was brainy, and she was a little snobby and she was opinionated, and I think that’s partly because the book existed. So that helped a lot. But also because it was a movie surrounded by women. And then with ‘Crazy Ex,’ I think one of the things that really connected Rachel and I was a desire to get underneath stereotypes. She comes from musical comedy where the female characters are often severely compromised. And I had been working in romantic comedies, where I was trying to get these other kinds of characters through. And this was a brilliant opportunity for both of us to kind of spoof these things. So from the beginning, we’d been making fun of makeovers and runs to the airport. And then all the men are tropes. And so it really is a sustained, four-year-long rom- com. I would say the main genres we dismantled [were] mainly romantic comedy, but also musical comedy, for sure. Because Rachel and I were so interested in beginning, middle and end, it was really nice for us to get to that end and explore what that was. Some of the other [season] finales we’ve done have been bigger, more bombastic, and had more scale to them. I mean, people are running off cliffs in Malibu. And we always knew [the series finale] was going to be a more intimate, psychological. It’s the first one we shot in seven days, which is our normal shoot time. We usually do the finales over a longer period of time. But this one, we knew was going to be more inside Rebecca’s mind, and so that’s very much how it’s structured. Rachel and I wrote it together. We wrote the bulk of it in one day. And it felt like the culmination of almost six years of collaborating and talking about what we wanted to say. We did have a big conversation with the writers’ room before we went to write, just to get their thoughts, because obviously the institutional memory there, after 60 episodes, is pretty amazing. But then we set out to sit together. It was kind of like a dam bursting. And there were tons of refinements, but the spirit of the finale is in that first day that Rachel and I kind of first put it on the page. 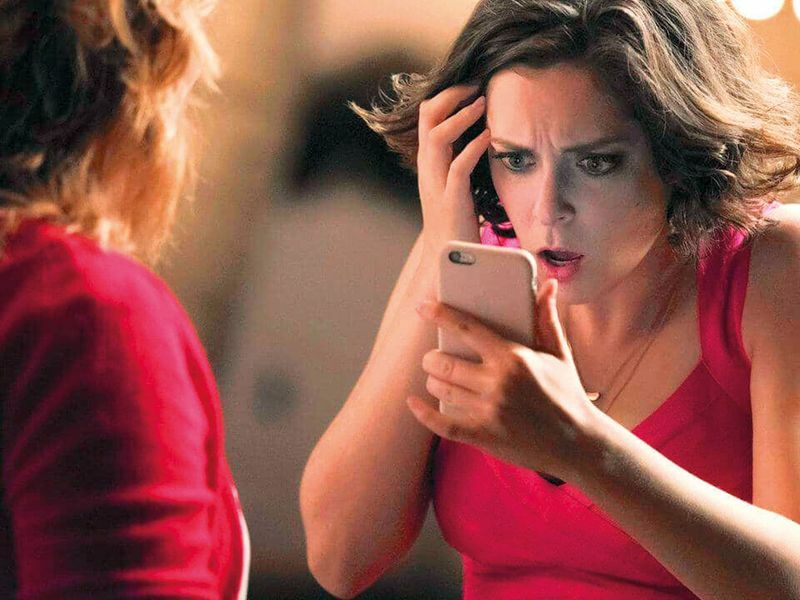 ‘Crazy Ex-Girlfriend’ streams on Netflix.